Empower Ministries exists to strengthen and equip national churches in countries where the indigenous Church is expanding at unprecedented rates, and to assist in revitalizing the Church in Canada. We invite you to help extend God's Kingdom by participating with Empower Ministries in the projects listed below. 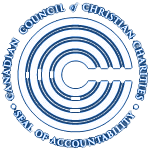 Empower Ministries is a member of the Canadian Council of Christian Charities and adheres to its stringent and ethical guidelines. In addition, we are committed to using as much of each donation as possible to help believers overseas. When you partner with Empower Ministries, your donations make a huge difference in the lives of people around the world. Empower Ministries is committed to use all funds designated for a specific project to that end. However, if that project is no longer viable, or if the financial needs of the project have been fully met, Empower will use the gift at our discretion for another project.